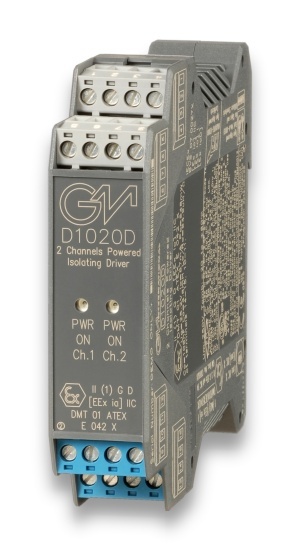 The dual channel DIN-Rail Isolating Driver, D1020D, isolates and transfers a 4-20, 0-20 mA signal from a controller located in Safe Area to a load of up to 750 Ω in Hazardous Area. It has a high output capacity of 15 V at 20 mA combined with a low drop across its input terminals. 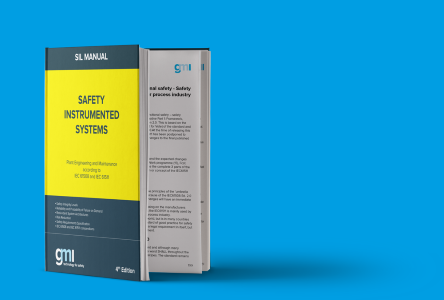 The circuit allows bi-directional communication signals, for Smart I/P. In the 4-20 mA input range, a field open circuit reflects a high impedance to the control device output circuit. • 4-20 or 0-20 mA Input, Output Signal. • Wide Band Smart Communication, Hart compatible. • Field open circuit detection.